Asus’ ROG Phone is officially available to order. Conceived as a device meant to raise the quality of the mobile gaming experience, the ROG Phone offers a display with 90Hz refresh rates, 8 GB RAM, a minimum of 128 GB storage, and a number of other features and flares for the mobile gamer. 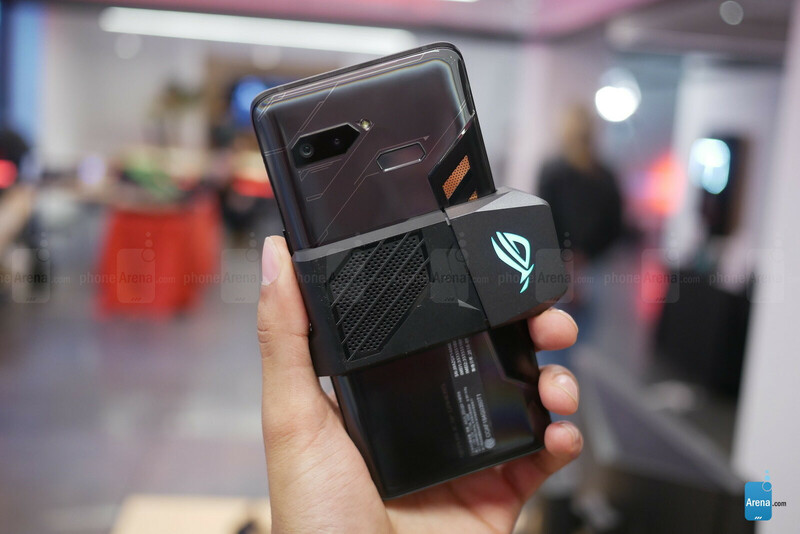 Asus also offers a number of intriguing gaming-related accessories for the soon-to-be launched phone – one of which, the AeroActive Cooler actually comes bundled with the device. With gaming company Razer’s second phone also launching this month, the ROG phone isn’t the first to this space, and really, neither was the Razer Phone. 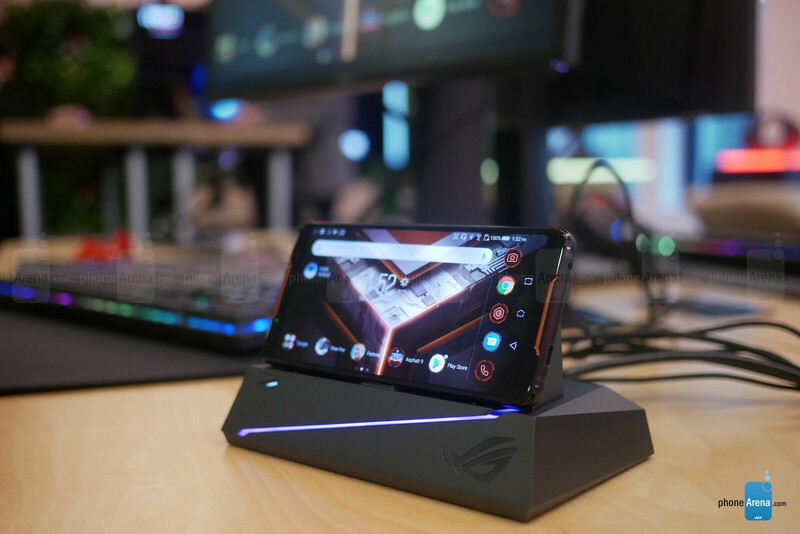 We went hands-on with the ROG Phone, and a few of its accessories, to see what gaming on an Asus device is all about. 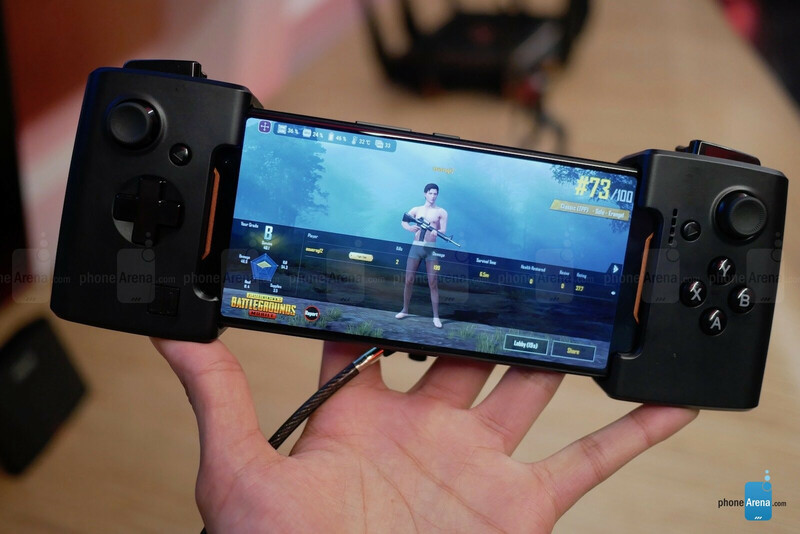 At first glance, it’s clear this is a gaming phone – even if you’re not exactly sure what a gaming phone is. The gunmetal-colored body with painted-on circuit board accents underneath and glass on top give it away as something of a toy, but upon closer examination you’ll see some serious hardware too – even from the outside. The first thing you’ll notice is the copper cooling vents located in the back of the phone. Underneath lies Asus’ GameCool system, which consists of a 3D Vapor-Chamber, heat spreaders, and cooling pads. Basically, overheating should be the last thing on your mind when gaming, especially with the inclusion of the AeroActive cooling fan accessory in the box – something we’ll touch on a bit later. Asus also took care in making sure that battery life wouldn’t be a concern either. This is evident not just with the inclusion of a large 4,000 mAh battery, but also the placement of a secondary USB-C port in the middle of the device so that charging cables won’t get in the way of your grip during gaming. This USB-C port is part of a larger, proprietary dual-port where accesorries like the AeroActive Cooler can be attached. In hand, it’s a tall and rather heavy phone, that feels like it’s meant for us to just turn sideways and game away – especially with those dual speakers firing at you. The display on the ROG phone didn’t exactly blow us away from our first impressions. Rocking a FHD+ (1080 x 2160 px) resolution, it didn’t appear to be the sharpest screen with its 402 ppi pixel density but it does get decently bright (550 nits) and has the 90Hz refresh rate going for it. It doesn’t look quite as buttery-smooth as the 120Hz refresh rate on the Razer Phones, but it is noticeably better than most phones. The ROG Phone may be a gaming-centric device, but that doesn’t mean it doesn’t have to get some basics right too, and in this case that means a dual-camera setup. Pairing a 12 MP regular camera with an 8 MP wide-angle, the ROG Phone should snap some decent pics in different situations, especially with the flagship Sony IMX363 sensor and Asus’ recent history of competent photo capture. In front you’ll also find an 8 MP camera for selfies. The ROG Phone ships with the well-known Snapdragon 845 processor paired with 8 gigs of RAM and either 128 or 512 GB storage – pretty satisfactory specs to start with. Of course, every-day tasks seem to breeze through the ROG phone, but let’s talk software and gaming. There’s always a ton to see on Asus’ ZenUI-based phones, but the ROG introduces another flavor of Android 8.1 with ROG UI. This is a dark-themed, black, gray, and red interface which looks pretty cool. Let’s take a deeper look at what else this new UI entails. When not in a game, these Air Triggers serve as part of the ROG Phone’s squeezable sides. Much like the HTC U12+ and Google Pixel’s, you can squeeze this phone to trigger specific functions. The default function for this puts the phone into “X Mode” which raises CPU frequency and optimizes memory for gaming but it can be mapped to launch any installed app. That’s pretty cool – so is the accompanying wallpaper animation and RBG logo in back which light up to reflect the initiation of X Mode – but we did have a little trouble with the squeezable sensitivity at first. This can be tweaked, though, and we anticipate that any kinks here will be ironed out by launch, that is if Asus has learned anything from the HTC U12+. 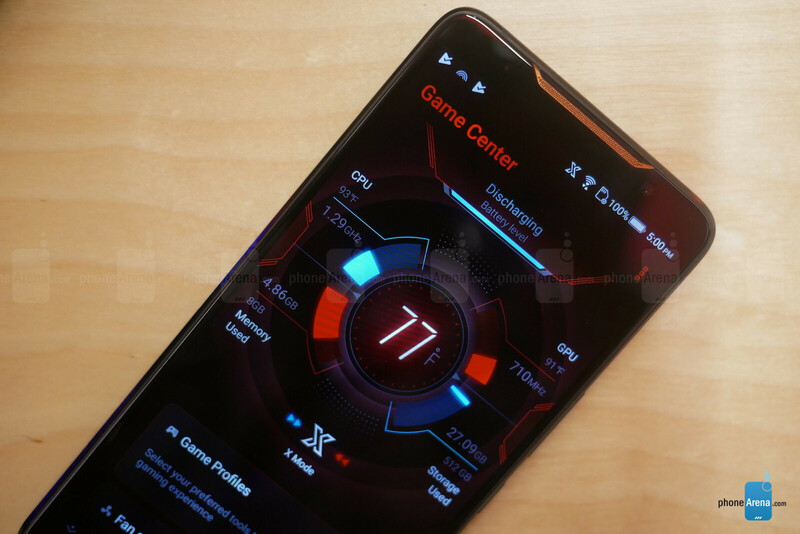 The Game Center App is another ROG Phone exclusive, which shows you phone stats like temperature, CPU frequency, and memory used. This also allows you change the fan speed of the AeroActive fan attachment as well as the colors and patterns of the light-up ROG logo in back. The in-game experience is also aided by Game Genie, which lets you configure Air Triggers, CPU speeds, record and stream your gaming session, and much more. 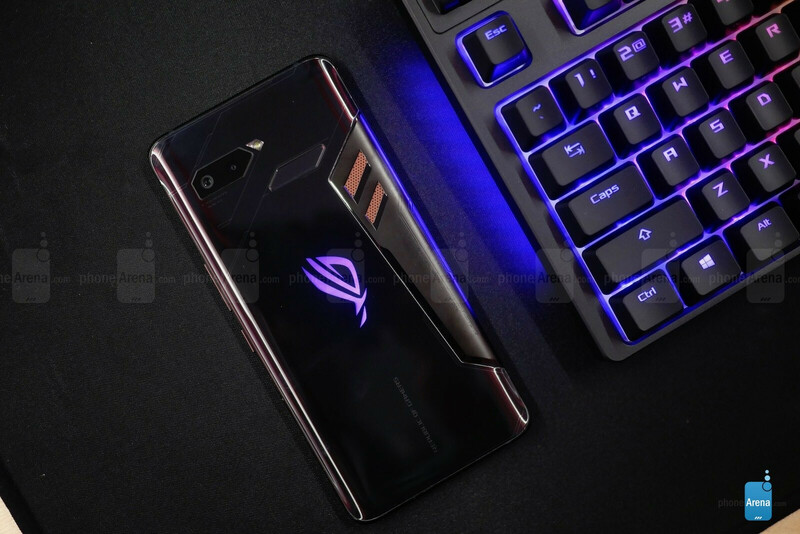 All in all, the ROG Phone seems to put its money where its mouth is when it comes to enhancing the gaming experience via unique innovations and useful software additions. Asus seems pretty proud of the ROG Phone, but the company didn’t rest on its laurels there. 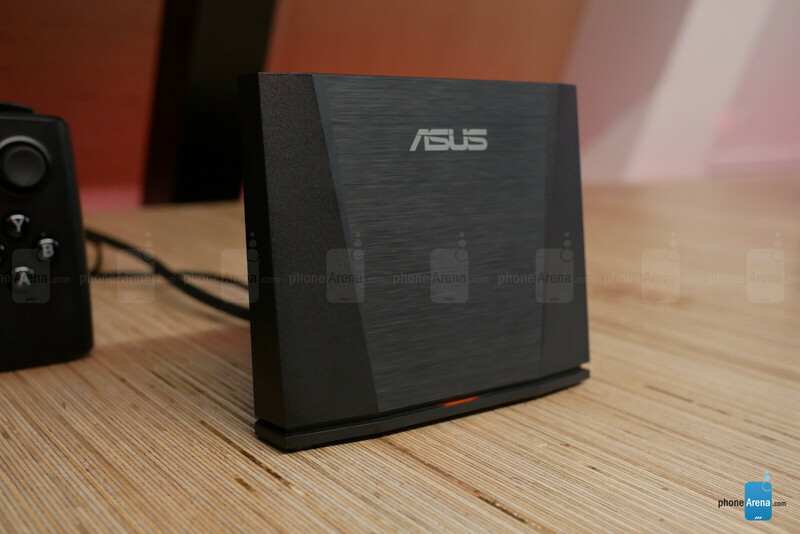 Instead, Asus also launched a number of accessories for the new gaming device, and they look pretty cool. First is the Mobile Desktop Dock, which is exactly what it sounds like – a dock which turns the phone into a desktop computer experience. Much more than Samsung’s DeX and other such implementations, the Desktop Dock adds a number of ports – 4 USB-A, Gigabit Lan, HDMI and Display port out, a microphone, 3.5mm headphone jack, Micro-USB, and an SD card slot. So, yeah – Asus didn’t really skip anything port-wise in comparison a true desktop computer. It’s a very smooth and solid implementation from what we saw too. Docking is easy and latency is nearly imperceptible. Gaming this way, through Asus’ built-in key mapping functions, or using any app is a lot of fun in this dock, and we’re excited to get some more time with it to see how it truly stacks up to similar accessories, and if it can sway some buyers with its $229.99 price tag. For those who would like desktop extensibility but prefer a smaller, less port-filled option, there’s the Professional Dock. Adding HDMI, two USB-A ports, and USB-C for charging the ROG phone, this dock is a more portable, less-expensive desktop option priced at $119.99. The WiGig Display Dock is a nice one to pair with the Gamevice controller as it offers wireless streaming to TV’s or other large-screen devices with extremely low latency. Whereas previous wireless streaming options like Miracast are rated at 500ms of latency, the WiGig dock, with its cutting edge Qualcomm 802.11ad 6GHz technology, can achieve latency as low as 20ms – and it truly shows. Gaming this way appeared almost no different than through a wired connection. The WiGig dock sells for a cool $329.99, though – a tough value proposition to make. Speaking of tough value propositions, the Twinview Dock is another hard sell. 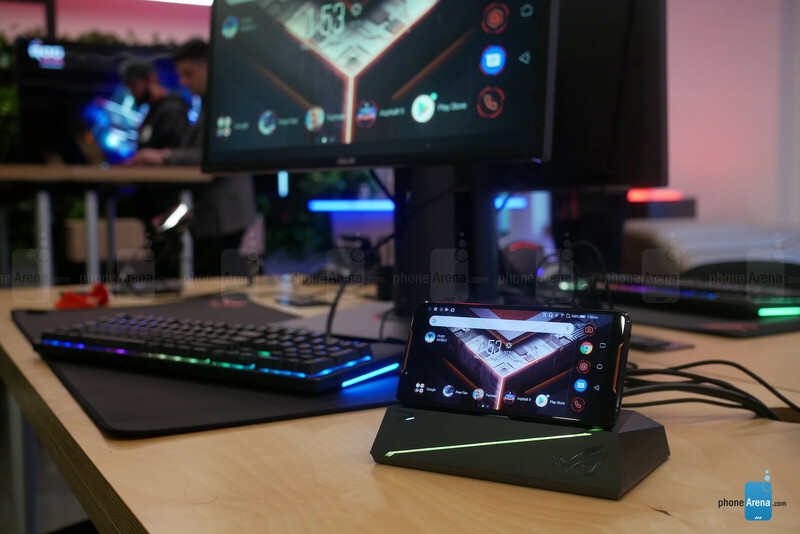 Packing an additional 6000 mAh battery, this $400 clamshell device has another screen and a set of dual-speakers built in allowing you to snap your ROG Phone into it and have a two-screen experience. This can include watching videos, browsing the web, or any use of other apps. 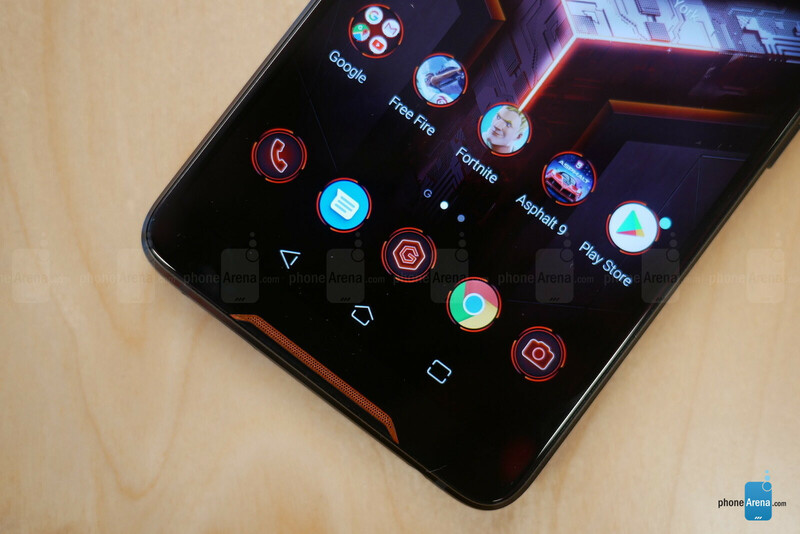 Unfortunately, second-screen controls are very limited – currently supported on only one game – as Asus needs to work directly with the developers for this sort of funtionality. It’s hard to imagine many people buying this second screen when they likely have other, more useful second screens to watch videos or use apps already. Like we said, it’s a tough sell. If we had to sum up the ROG phone in a few words, we’d say “it’s pretty cool”. It does seem to have some promising features and additional hardware and software, but day-to-day, real-world use will be the real test for this gaming monster. The ROG Phone sells for $899 for the 128 GB and $1099 for the 512 GB variant and begins shipping today, so if you’re intrigued the wait is over! Otherwise, stay tuned for our full review and we’ll let you know if your patience was well placed. This is officially the best gaming phone unlike other half a**ed attempts. Yeah, the controllers are still a major issue. I always ask how in the world can a supposed gaming device not come with a controller out of the box? Utterly ridiculous I must say. As for sony, I think they have a bunch of 12 year olds making decisions over there. I like sony and I've used a sony device but truth must be told. Gimmick phone. too late.. 90Mhz screen?? WTF? and looks crap. I'd rather take the Razor Phone 2 than this.. 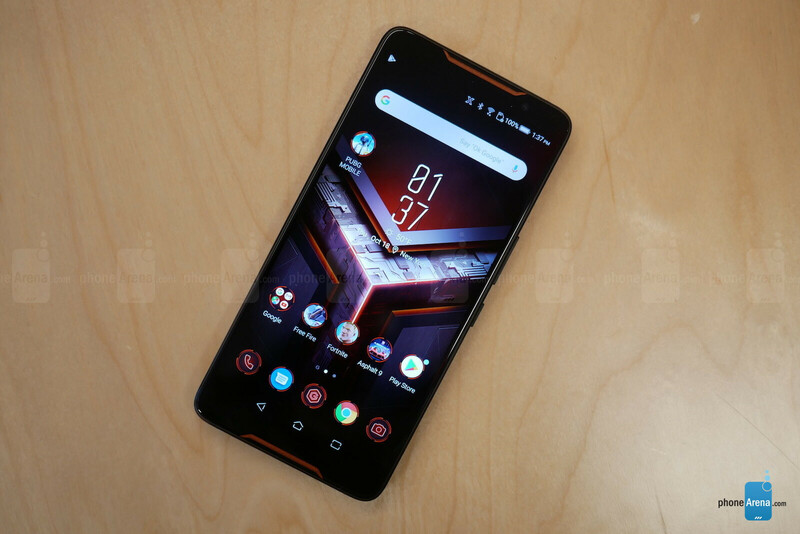 Even an original Xiaomi Blackshark.. Where Asus really lost me was Android 8.1... seriously?